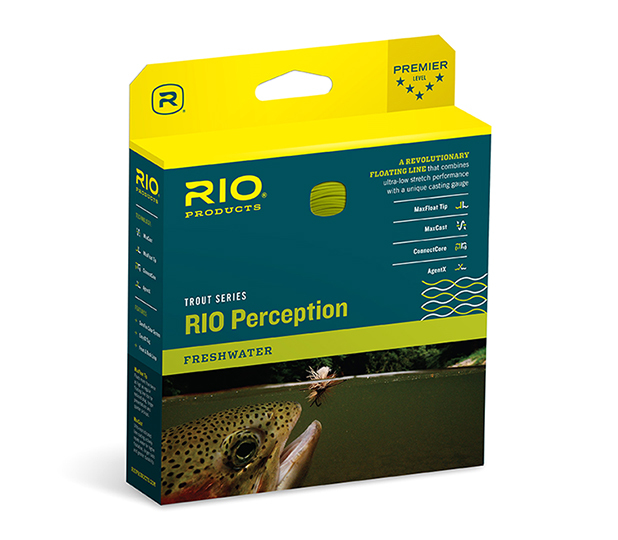 The Rio Perception fly line gives the angler unprecedented casting control and instantaneous feel, redefining the idea of what a Trout fly line should be. It won't give you x-ray vision or the ability to leap tall buildings, but the revolutionary new RIO Perception fly line will help you catch more trout. 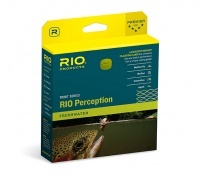 Built with Rio Lines ultra-low stretch Connect-Core Technology, RIO Perception lines provide phenomenal sensitivity for a better, more intuitive timing of the cast, easier line pick-up and sharp, precise mends. The lack of stretch also means enhanced detection of subtle takes and reduced reaction time on hook sets. The exclusive Sure-Fire colour system improves casting accuracy by making it easy to gauge exact distances at a glance. It all adds up to improved casting, better fishing and most importantly, more fish. Unprecedented casting control and instantaneous feel. The trout line redefined !